Unfortunately, it seems like short battery life is no longer just a worry for Android users, because Apple has battling its own troubles with the iPhone 4S. There have been widespread complaints that battery life in the iPhone 4S is unnecessarily short, even after users turn off persistent battery draining services like iCloud, Siri, location awareness, and Ping. In our informal poll from last week, we found that a significant number of users were noticing a problem. Now, there are reports that Apple may be contacting users directly to find a solution to the problem. One user has claimed that Apple had contacted him and asked that he install a diagnostic tool on his iPhone 4S. That user told The Guardian, and also added that he had noticed his battery drain by as much as 10% per hour while in use and about 5% per hour in standby mode. And, these findings came after he had done a clean install of iOS 5 on his new device. He wrote a blog post about his troubles, and says that an Apple engineer reached out to him to try finding a solution. As we could have expected, the man even said that the engineer was very helpful "in the typical Apple way". The engineer even went so far as to admit that Apple isn't even close to finding a fix. It seems as though Apple still is no closer to finding a fix for whatever is causing the extra battery drain for users, but it's great to know that the company is being proactive about finding a solution to the problem. ***Siri, do know what's happening? 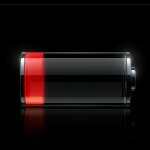 Siri: Battery low, first get your charger! Siri: I'm menstruating, I thought everyone knew that us women drained red. Placing a tampon in the charging port will help improve your battery life. Having the same problem with my iPhone 4 too! Getting it replaced because it's got some other problems too, hope my next one isn't affected too. And iPhone talks perfection NOT !!!!! My battery live has been really good with the iOS 5 update. Better than ever. It does seem like there are some issues though. Apple looks like they're being really proactive in fixing it. The usual trolls on here. Carry on losers. It's called being reactive. The issue is already here faced by many customer. How can that be proactive? proactive would be "we fixed the problem before u noticed" reactive would be "you noticed a problem and youve bitched so much that we are looking into it". they are definitely being reactive. Maybe this was part of the long delay for the i4s? Maybe theyve known about the battery issue for quite some time. Android battery life is getting better n better, apple's is getting worse. Or the long delay of iOS 5...? let me shed some light on you about androids "improving" battery life. i only need one point to tell you that androids batterylife isnt improving but getting worse. android phones are now getting bigger batteries, and therefore presumably better battery life? wrong better battery life sugests that you can do more in one charge, improving the battery life would suggest some new software that can get the phone to do more in one charge on the same type of battery whilst improving on performance. all the manufactures who have added these bigger batteries that drain slower but take alot longer to charge. the size of battery, thae clock speed of the proccessor, are all marketing ploys by these manufacurers. Dude, stop posting your stupid is showing....those Android phones with the Gingerbread update have seen a nice improvement in battery life. My 16 month captivate gets anywhere between 18-36 hours of battery life per charge depending on what I do. Agreed,my galaxy s2 gets me a day to a day and a half from a single charge which is acceptable enough. I suppose I probably should have said, "proactive compared to the response (aka denial) that the iPhone 4's antenna received..."
Are you trolling now Michael? They're proactive because they're reaching out to customers unlike some other manufacturers who bury their head in the sand and never fix the issue. Example would be original moto droid which had terrible one way audio issues which never got fixed all the way. Taco, proactive actions are actions taken before something happens. Reactive actions are actions taken after something happens. People have already reported battery issues. Therefore, actions taken now are reactive. Just wanted to help you out lil' buddy. just because you didn't have the issue doesn't mean it didn't exist. Google it if you don't believe me. They should have done a recall of the iPhone 4 and fixed the antenna issue. Instead they denied it and then acted like children and say "oh yea well android devices do it too! see by how fake edited video?!?" Exactly, APPLE will not admit fault because their profits and stock are more important than their customers. "Non issue." Sure, because something that many people noticed which affects the performance of a phone is not an issue. Was it an *easily fixed* issue? Yep. Was it a *cheaply fixed* issue? Sure. But it was still an issue. And Apple never fixed it. They never even really acknowledged that the issue exists. They just said "here, for two months and two months only we'll hand out cheap cases for free. After that, TOO DAMN BAD, because according to us, there's no issue anyway!" Apple was wildly inconsistent with its response to the matter, and to add insult to injury, they never even included a subtle design change (which other manufacturers seem to accomplish with ease) AND took four extra months to come out with a new iPhone. Oh yes, Taco. That antenna was never fixed. I was still handling brand new iPhones at the AT&T job and produced the death grip with ease. I mean, they came out with flat out lies like it being a software issue or nonexistent. They also twisted the truth by trying to demonstrate death grips on other devices by either squeezing the phones way harder than anyone would ever dare even when angry, or by placing their fingers in spots on the phone that a person would never normally touch. So while the death grip was a small issue by itself, Apple's "f**k you" response was what turned it into a gigantic issue. I'm happy to see that they haven't pulled the same bulls**t again with the battery reports, but it remains to be seen what fix they'll offer, if any. It was never a gigantic issue except to droid drones such as yourself. iPhone 4 was the best selling and least returned iPhone. It was an issue to more than Android guys and gals. Remember Consumer Reports?